Spoiler Alert! This article contains story line info through the October 28 episode. When Beverly Hills, 90210 first came out in 1990, I was watching Sesame Street and cartoons on my living room floor. When I began seeing previews for an updated version of the show, I became curious about all those years of TV history I had missed. What's more, after the first 2 or 3 episodes of the current 90210, I was getting tired of my friend making references to the original and names that meant nothing to me - Donna, Dylan, Brandon, and so on. I didn't know Kelly and Brenda's back story, nor did I really care. But I finally decided to give the original series a chance, and ever since I have been watching episodes religiously as they air on SOAPnet. I began watching at the start of season 2 (third year of high school). I'm currently in season 4 (freshman year in college) ... and rather obsessed. People often make the mistake of comparing the new version of 90210 with the older version. I always like to stay open minded about such things, giving each show its own opportunity. Personally, I wasn't overly thrilled by the new 90210's two hour season premiere. I found the first hour to be incredibly predictable, and continuously called out what would happen next. However, I could see that the show did have potential, keeping in mind that the first few episodes of any show are used to set up the characters. Episode 7 - "Hollywood Fever" - was the episode I'm sure all fans were waiting for. It was an hour filled with surprises. To quickly summarize, Ethan and Annie are coupled for a school assignment taking care of a "baby", Silver throws a rockin' half-birthday party for herself, mysterious new girl Kimberly is too cool for school, and Naomi confronts Adrianna about her drug addiction. This episode gave me hope that the show can make it on its own, with or without Jennie Garth and Shannen Doherty. Just last night (October 28th), I watched the eighth episode of the new series, after a two week wait. Adrianna has survived her drug overdose, but leaves rehab, desperately seeking out BFF Naomi, who wants nothing to do with her, understandable given that Naomi is still in hot water for taking the blame for Adrianna's drugs. Plus, Adrianna's self-destructive behavior just plain frightens her. Meanwhile, things are heating up between Ethan and Annie, though Naomi (Ethan's ex and Annie's new friend) wants her to stay away from him for the sake of their friendship. After all, she reminds Annie, guys come and go, but friends are forever. So we are left to ask ourselves, ok, but should you stay away from a brand new friend's ex you've been getting close to for a while now? 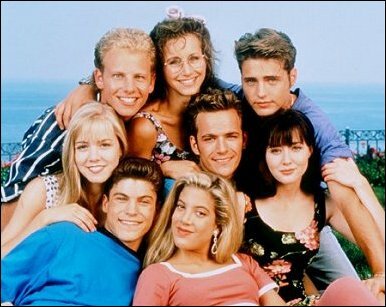 I loved the diverse cast of characters the original 90210 had to offer. There was the socially awkward, book smart nerd Andrea, the money-can-get-me-out-of-any-mess, spoiled rich kid Steve, and of course, the Minnesota twins - everybody-likes Brandon and nobody-can-tell-me- anything-cause-I-have-to-learn-it-the-hard-way Brenda. Plus, oh-so hott teen rebel Dylan, geeky, later cool-but-troubled David, at first glance dumb but people-smart and kind-hearted Donna, and most viewers' fave - Kelly, the girl with the bad rep and messed up home life trying to find true love and happiness. The twisted love triangle between Brenda, Kelly, and Dylan was a prominent theme in Seasons 2,3, and 4, and apparently resumes in the new 90210 in the shadow of the new teen triangle - Annie, Naomi, and Ethan. Should be interesting. Although some viewers complain about the size of 90210's current cast, I find a huge cast to be more interesting. Naomi is the rich, rather snobby girl who can't decide whether she wants to be with Ethan this week or not. I'm sure you all know someone like that. 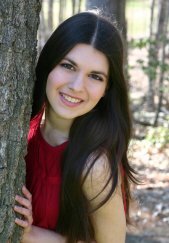 ;) Annie, the new girl in town, is very sweet and personable. Erin, or Silver, as she prefers to be called, is extremely independent and speaks her mind. Adrianna is dealing with huge pressures stemming from her mother's ambitions for her life. feel free to check out the video above. As for criticisms, I have a couple. I've noticed that the female characters on 90210 have been developed a lot more thoroughly and interestingly than the male characters to this point (episode 8). Perhaps this is because The CW is aiming for a target audience of young women, as opposed to the original 90210 which was for teens in general. Also, the dialogue in the original was clearly better written, mixing wit and humor with real teen issues and relationship drama. At times the original series could get a bit corny, and it's very nineties, but the best episodes left me at first laughing out loud and later practically in tears. I feel the new 90210 needs to find its sense of humor. Life isn't totally serious, is it? Especially when you get to live in tv land's favorite zip code! The CW airs new episodes of 90210 Tuesdays at 8:00 pm EST. ABC SOAPnet airs old episodes of Beverly Hills, 90210 (check local listings). Most episodes from Seasons 1-4 are available online on CBS.com. Earlier seasons may also be available at your local library.